“Hiking Spree 2013” kicked off today at the Highlands Center for Natural History with a 1.6 mile warmup hike. By hiking 8 of this year’s 12 trails, one can again purchase a specially designed medallion. The Lynx Spillway Trail is an easy loop that starts at an elevation of 5,550 feet and has a high point at 5,660 feet. 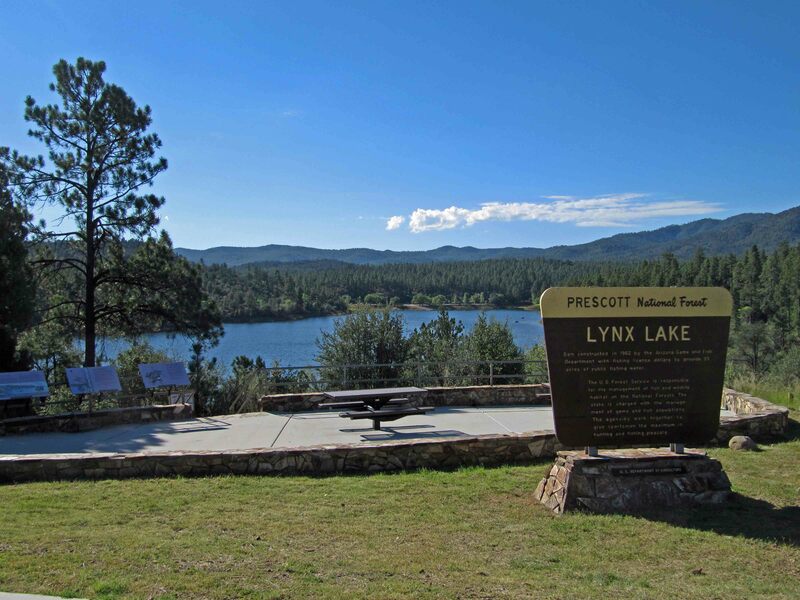 We started on trail #443 for 0.1 miles, then trail #305 for 0.2 miles, then trail #442 for 0.3 miles along Elderberry Creek, followed by 0.3 miles on trail #445 above Lynx Creek, then 0.1 miles on trail #401 with a view of Lynx Lake before crossing the road and returning 0.3 miles on trail #305, and finally the last 0.1 miles on trail #443 to the Highlands Center and a continental breakfast. We look forward to selecting other trails through December 3rd for this year’s “Take a Hike” program. The Prescott Legacy Trail is part of the Prescott Circle Trail and the northern most trail within Pioneer Park. 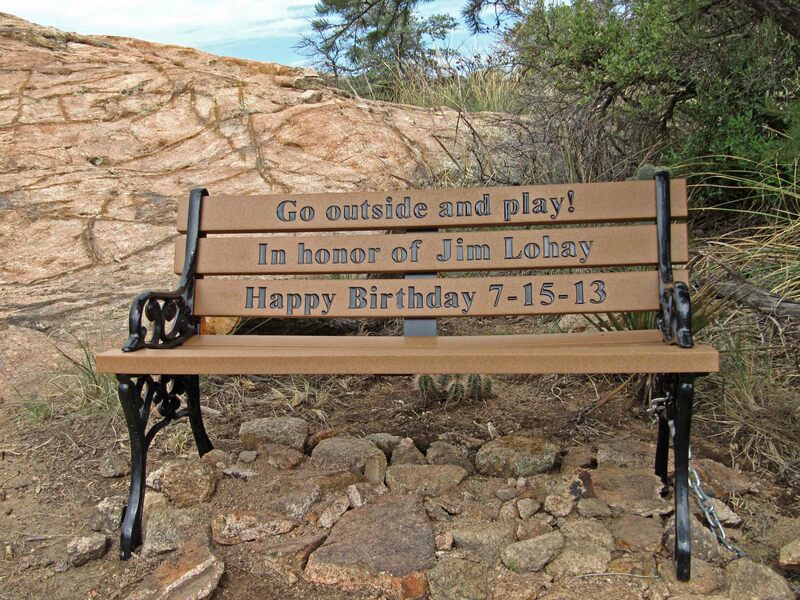 It was completed in 2000 by youth from the Yavapai County Juvenile Community Services Program, “Probation Works in Arizona.” Youth learned trail construction techniques while leaving behind a “legacy” for future generations. 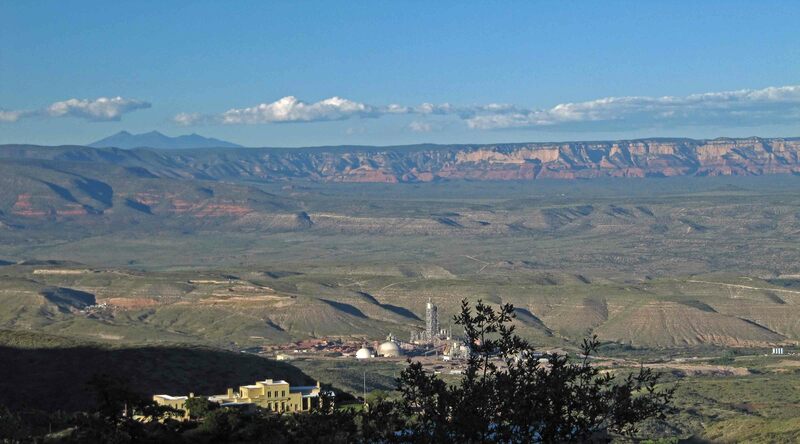 We enjoyed long range views of Thumb Butte, Granite Mountain, the San Francisco Peaks, and Glassford Hill. We only encountered one mountain biker. We plan to return to Pioneer Park to explore other trails. 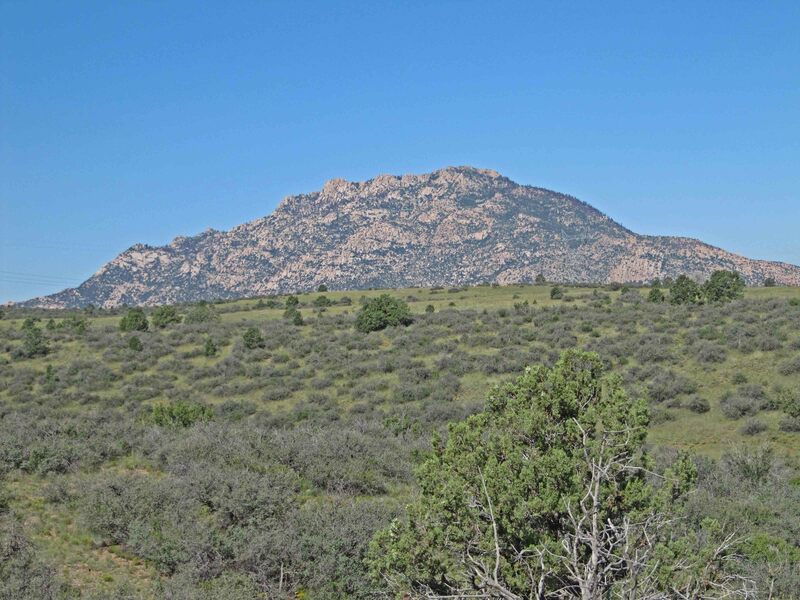 Prescott’s newest trail has several components: the Stairway Loop, Castle Rock Trail, the Rock Stacker Trail, and the Groot Trail. We explored each segment traveling counter-clockwise. The Grotto Trail has a narrow passageway through granite boulders. The Rock Stacker Trail has nice views of Castle Rock. The Castle Rock Trail overlooks a dam and waterfall. A bench honoring 80-year-old Over the Hill Gang volunteer Jim Lohay is located at the intersection for this small loop. The Stairway Loop features an impressive steep staircase with two dozen steps. The Granite Gardens Trails are only about 1.15 miles in length with a low elevation of 5,040 feet and a high elevation of 5,150 feet. The City of Prescott purchased the 35 acres that these trails sit on in 2008. The refrain, “Go outside and play,” is appropriate for this scenic segment of the Granite Dells. Many of the wildflowers in bloom on the Granite Gardens Trail are also blooming in our yard. On Labor Day I identified the following wildflowers in our yard: New Mexico fleabane, bidbill dayflower, Transpecos morning-glory, ivyleaf morning-glory, bearlip pensetemon, Missouri goldenrod, smooth spreading four o’clock, slimleaf plainsmustard, sweet four o’clock, butter & eggs, I had difficulty identifying two other yellow flowers and one dainty white. This monsoon season has encouraged lots of green growth. This past Saturday I donned my Hawaiian shirt as we headed to the fourth annual Labor Day Luau on Goodwin and Granite streets at the Firehouse Plaza in downtown Prescott. We found outdoor seating on the upper floor of the Firehouse Kitchen. From our perch we observed volleyball teams competing on the sand beach on Goodwin Street. The proceeds for this year’s event were to go to the Prescott Fire Fighters Charities, Camp Courage Burn Camp, and the Yavapai Juniors Volleyball Club. 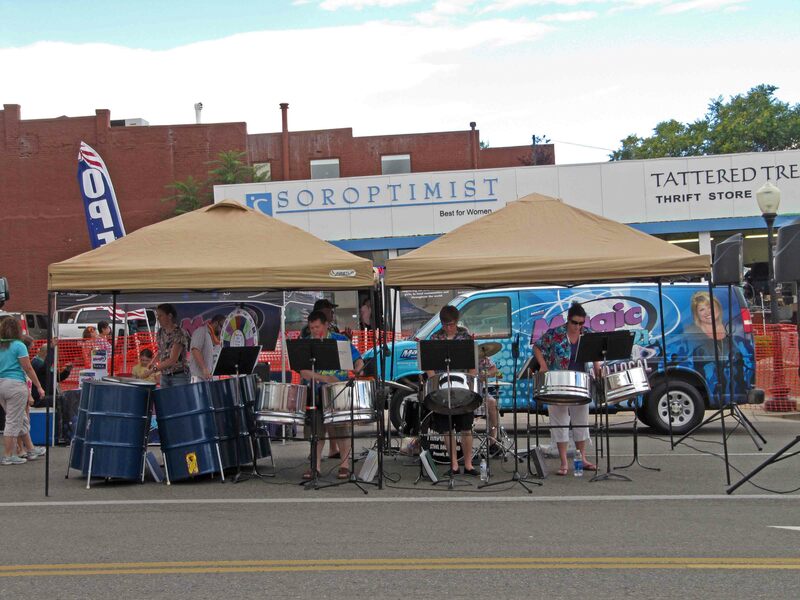 The Pandemonium Steel Drum Band was positioning itself to set the mood but weren’t putting out much sound when we left this area to walk around the Yavapai Courthouse where artisans and food stands were set up for the long weekend. Prescott was a great place to spend the last weekend of summer.